Will our railings be in a Disney movie? Yes! November 8 2011. 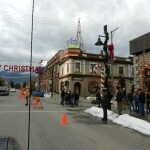 Disney have been filming in downtown Fernie since October. They’ve transformed the front of City Hall into a Christmas scene. The Miners’ Walk poles and banners have been taken down, our insects covered with snow and the miner’s face hidden by a tree. However, our circular railings remain. A giant Christmas tree has been added and the effect is magical. The end of the film shows Mrs. Claus (Cheryl Ladd from Charlie’s Angels) leaving “Pineville” in her sleigh. A choir is singing, our son is an extra dancing on the steps of City Hall, holding a candle…The Disney movie called “Santa Paws 2: The Santa Pups” will be released in time for Christmas 2012. Look out for our railings! Update: November 20 2012. 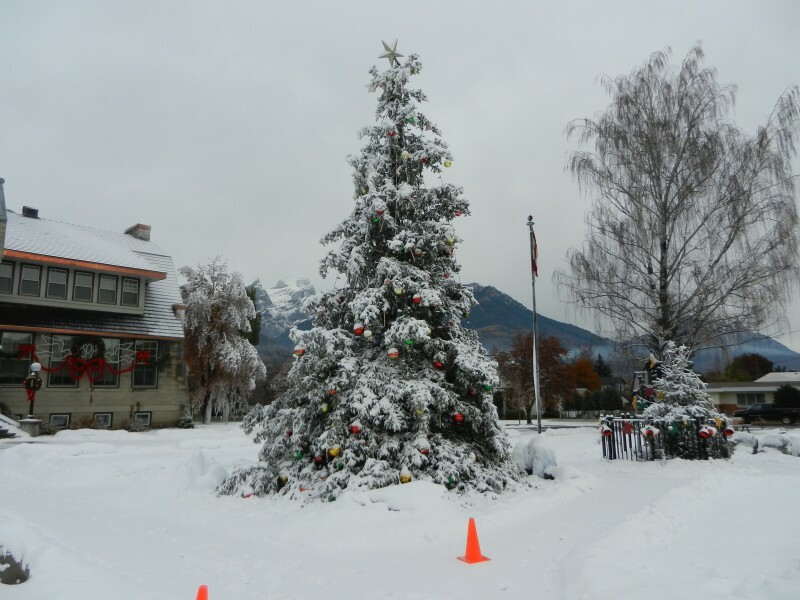 The DVD was released today and our railings, as well as Fernie locals hired as extras and now local celebrities, are clearly visible in the finished movie. It is a heartwarming family musical tale about the meaning and magic of Christmas, including a child’s rendition of the carol “O Holy Night” in the Museum pictured below, converted into a Radio Station for the occasion. 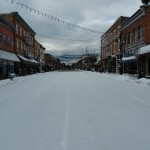 As it was filmed on location, beautiful buildings and scenery in and around Fernie are prominently featured, with a delightful result. Thanks Disney.